February 23rd 2016. CEO Neal Keny-Guyer and other senior executives from US based Mercy Corps (MC) came to CFPA for a high level meeting. The delegation was received by CFPA’s Vice President Wang Xingzui, Executive Director Liu Wenkui, Deputy Executive Director Chen Hongtao, Assistant Executive director An Jianrong and General Manager of the International Development Department Wu Peng. At the meeting CFPA presented a strategic overview of its present and future domestic poverty alleviation operations followed by a question round. Both sides then held talks on organization operation, strategy and key working fields. CFPA’s long term objectives is to achieve internationalization in operational scope. The talks held covered thoughts and experiences MC has had as a globally active aid agency. CFPA hopes that by engaging in mutual dialogue and assistance, MC may facilitate CFPA’s international outreach while gaining valuable local knowledge on the humanitarian sector in China. Both sides believe that cooperation will create a win-win situation. 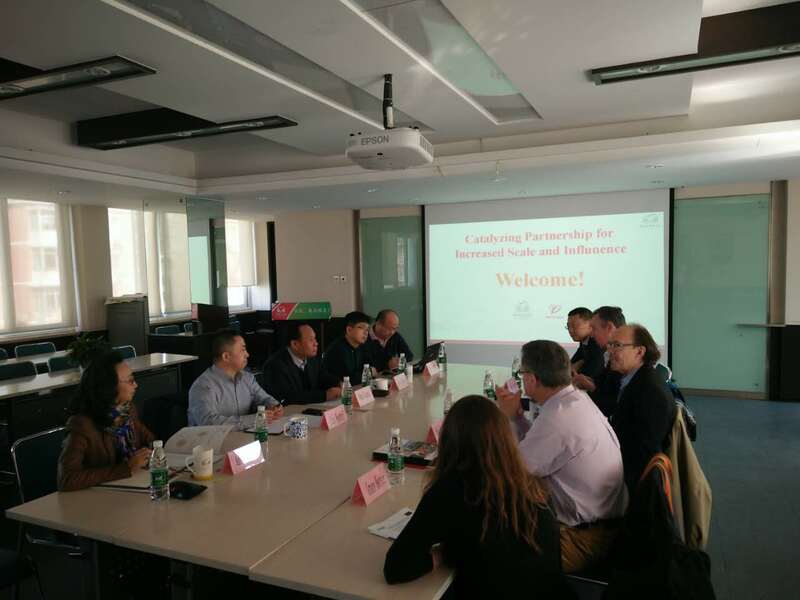 By working with together, CFPA and MC will expand each others influence not only in China, but also around the world. Next： China 2016 Floods: CFPA' s Disaster Relief Operation Receives 7m RMB from Apple Inc.